An excellent selection of Horse Wear is available at Ayr Equestrian. We have a supply of Training Aids, Headcollars and Lead Ropes, Lunging Aids and Studs and Taps. 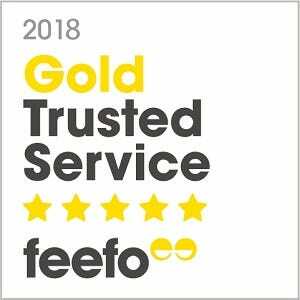 Browse our categories to view more of our products, and find many more leading equine products on our website. In our Training Aids category, you will find a great selection of reins and billy bands to help with the training of your horse or pony. Training reins encourage the correct use of back and neck muscles in your horse. 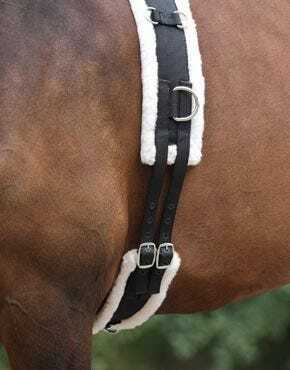 They have elastic in them to help your horse maintain light contact with the bit while moving freely in to the bridle. 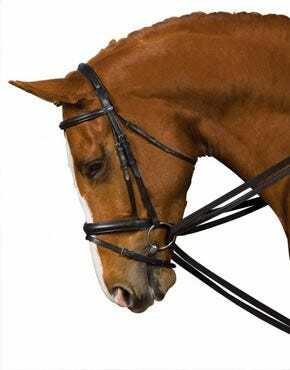 We have a great range, with classic leather reins and webbing reins that come in a variety of colours. We also stock various lunging aids and systems, alongside lunge lines. We have popular lunging equipment from Kincade and John Whitaker. Our selection of headcollars come in an array of sizes to fit foals, ponies and horses. Eskadron is one of our most popular equine brands and we have a great supply of headcollars from them. With new colours coming in at different seasons, you can match your headcollar to the rest of your horse’s Eskadron tack. We have classic double pin headcollars, control headcollars and the Platinum Imitation Lambskin headcollar for the ultimate comfort. We also have a great range of colour lead ropes. 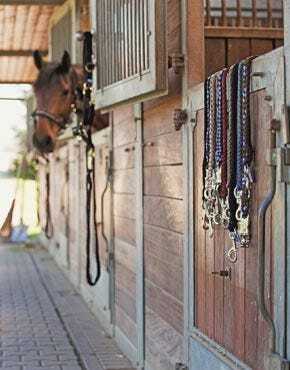 At Ayr Equestrian we have a great choice of Studs & Taps available. Help your horse to stay steady and prevent slipping on uneven ground by adding studs to their shoes. 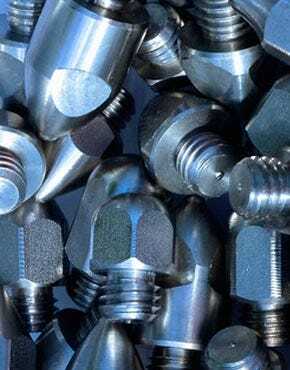 We have a great selection that includes individual studs, full stud kits, stud hole stoppers and a handy magnetic stud tray. Use the hole stoppers to prevent them getting dirty when not in use.